Do you have a frame that’s missing a mirror? We can cut a new one for you! How about a picture frame that has cracked glass? We can cut that too! We are able to cut new glass for many of your small projects lying around the house. We can cut shapes to patterns, custom size pieces, and glass cut to fit your cabinets and table tops. We even have shop capabilities to drill holes in glass and mirrors. 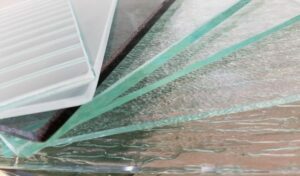 From picture frames to table tops we can assist you with all of your flat glass cutting needs.